2. Drible cut with left foot and pass player receiving ball cuts between cones and plays give and go with player that gave them the ball. 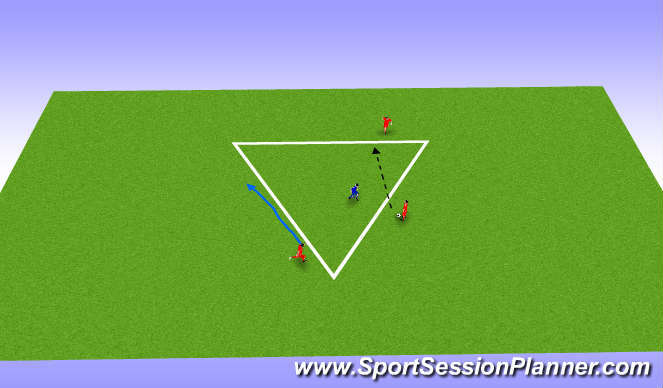 - three players work hard to create angles to the left and right of the ball. Never leaving the side of the triagle they are assigned/started at. 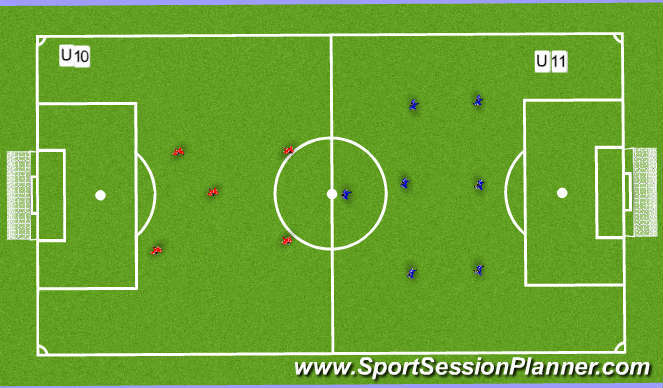 - play for 1 min and change - every two passes is a point and every second ball won or lost is a point for defender. After one minute losing team or person does 15 good push ups. -players once in channel have 3 seconds of free time, objective is to have playes "slash" into game to create combination before being able to go to goal. Player that played ball to outside player will replace the player. This player can be used again right away, if needed to maintain possession. - This is the ideal formation for the NRASL program and should be tried every session. In games adjust to what is needed to keep your team organized and in the game. - focus should be on keeping the team compact, this will allow for greater opportunities for combinations and good shape when defending. - This is the ideal formation for NRASL and should be tried at every session. Once again in games adjust to what is needed to keep team organized and in the game. 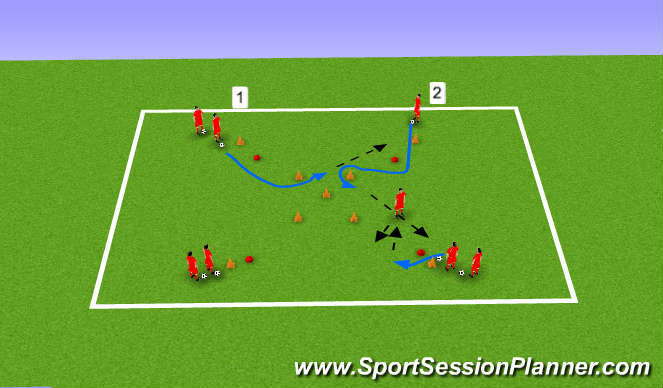 - focus on encouraging players to move with first touch. Try not to coach any other aspects of the game.